It looks like Uber has a growing interest in the behaviors of its users. According to a patent application filed by the company Thursday, Uber is planning to use machine learning to better understand the “state” of a passenger when they request a ride. The patent—which is pretty vague as to its purpose and full of a whole lot of technobabble describing how the system would theoretically work—lays out a system in which Uber could analyze how people typically interact with the app and determine if they are behaving in an “unusual manner,” whatever that might mean. CNN suggested the patent could be used to identify drunk passengers, which is certainly one possibility. According to the patent, the Uber app will keep track of how many typos a person makes, the precision with which they click on links and buttons, how fast they’re walking, and how long it takes to request a ride. The presumption being, of course, that a person who makes a bunch of typos and clicks the wrong icon and takes 20 minutes to actually call for a ride after opening the app is probably inebriated. That’s also probably information the driver can figure out pretty quickly on their own. If a passenger is hailing a ride at 2:00am on a Saturday night, the driver probably knows they’re picking someone up from a night of drinking, it doesn’t require an algorithm to make that determination. The text of the patent is much broader than CNN seems to suggest, and Uber doesn’t really get into the specifics of how the patent would be used. There’s no mention of drunk passengers or riders under the influence within the text of the patent. When asked for additional details about the patent, a spokesperson for Uber told Gizmodo the company had “nothing to share” beyond what is in the application. Uber’s patent does suggest that the app could take a couple different actions when it notices a rider acting unusual. First, Uber could change the service it provides to the rider. That would allow the app to pair a potentially erratic rider with a driver who has proper training or experience to deal with such a person. The app would also provide warnings to drivers so they could avoid picking up someone behaving strangely. Uber has always pitched itself as an app that promotes safety by taking drunk drivers off the road. The facts behind that talking point are pretty mixed, for what it’s worth. 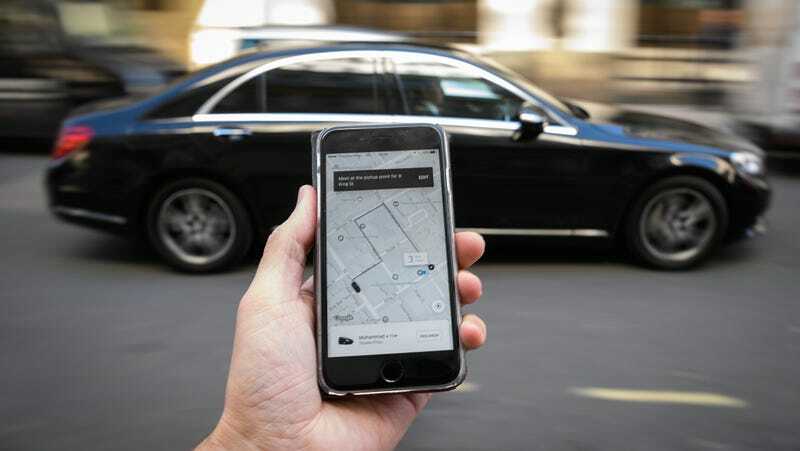 Some studies have suggested drunk driving related incidents have decreased in major cities since the introduction of Uber but others, including a major report published in the American Journal of Epidemiology, found no correlation between Uber’s presence in a city and the number of traffic fatalities. That’s probably due to the fact that Uber and other ridesharing apps add to congestion and result in more cars being on the road in general, so whatever is prevented in drunk driving incidents is made up for in overall traffic accidents. Uber drivers, for their part, seem pretty skeptical about Uber’s intention with the patent. On the popular ridesharing driver forum UberPeople.net, drivers have suggested the feature would just be used to charge erratic riders more for the additional effort required to get them to their destination. Uber has been trying to turn around its reputation lately, but its clear the drivers—who have more direct interaction with the company than most—aren’t buying it yet.